I am an Electrical Engineer, a graduate from the University of Nairobi, Kenya. I also study Mathematics and write fiction. It is my view that Mathematics is intrinsic in everything while literature is a product of everything. I am therefore inspired to believe that the two are inseparably linked. I love both. I hope you have fun reading some of the stories I have written. Thank you for visiting and have a great day. 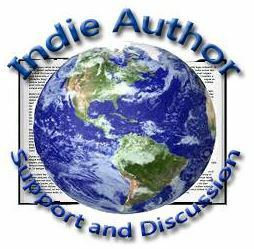 NOTE: I write in horror, fantasy, mystery, and sci-fi genres. My stories, therefore, do not necessarily represent the actual lifestyles in Kenya. Just been having a quick look through your blog (whilst on a break at work), and it looks very impressive. Will be reading through more of it later after work. Thank you, Paul. I am reading The Great Bank Robbery at Echoesofthepen right now. You are welcome. Thanks to you as well. You are welcome here, Meg. Thanks for visiting. Thanks, Mato. I really appreciate that you came and commented. I think it’s the writing that really keeps me alive. You are a writer, therefore, you must know how writing gets into the head and you look forward to it wherever you are. A writer writes everywhere he/she is, even with the head if all equipment are beyond reach. The voices, the images, the fantasy–I think a writer is like a drug addict, only he/she values his/her physical health above all. Mental health, I am not sure about that. My mother says writers are crazier than anybody else she knows. I spend my day at work fullfilling my responsibility and simultaneously writing in my head, making up stories, jokes, creating characters. I even get to laugh very hard sometimes. You know the experience. Thanks for coming as you promised. Peter, I’ve nominated you for a Liebster award ( If you like) Anyway it’s on my blog should you wish to accept!! Thank you, Cybele. You are too nice. I’ll look at it. Happy weekend to you. You are welcome here. I’m glad you came. Thank you, Nancy. I’m happy that you found this place awesome. Do come back. And have a great weekend. Hello, man! Thanks for visiting. Peter, so nice to meet you. I love meeting people who use both sides of their brain (well). Write on! Nice to meet you too, Leslie. And thanks. Hi, Aleya. Thank you for visiting this place and for your comment. I also love the marriage of Mathematics and Literature. It is complete. It’s my delight. Thanks as well and have a great weekend! No problem. I am usually notified when you post. For the fun of it. Everything improves a person in one way or another. You’ve had some wonderful posts. But can I request you to NOT “Like” every post of mine. It makes me somewhat uncomfortable. Peter: I have told me before and am telling you again. Please do not “Like” my every post, each time I write something. Please do not follow me. I don’t know that I did it again. But no problem. It won’t repeat. You have very excellent blog! I enjoy it. Remarkably! I will be glad to see you in my blog. The best regards. – Vlad. Thank you Vlad. I will visit your blog. Hi Peter! It’s me. Here to pester you with an award. You deserve it. And more. Hope your week is unencumbered and very creative. Read about it here if you would like. Thank you, Cheryl. Let me take a look. Thanks Peter. Have a great week! You too, my dear. An excellent week. Not yet read. But I will. My days have been awful lately. I took some new projects and they have consumed my hours. I don’t even know how I will handle the Blogfest. I so understand Peter. That iswhy I had to decline sponsoring. Good luck with everything. Thank you. I love Maths. I see equations and numbers everywhere. Thanks for visiting. Good luck with your writing (not my kind of reading, I will confess), and I like your thoughts on mathematics. Mathematics is amazing. Thank you for your appreciation and for wishing me a good luck. Peter – excellent treasure. just try this one thought – any language – as long as we use it is living. so feel free to use and encourage new entries into that already minutely detailed book. and thanks so much for the blogfest ! Pleased to meet you too, GP Cox. Thank you for visiting. Thanks to Julia Lund’s reblog, I have found a kindred spirit in writing. Nice to meet you. Nice to meet you too Cathy. Thank you! All the best in the new yr, Peter. Thank you so much for walking alongside. Thanks. And happy new year to you as well. Thank you too Andrew. Have a great day! Hi, Pam. Thank you and have a great day as well.